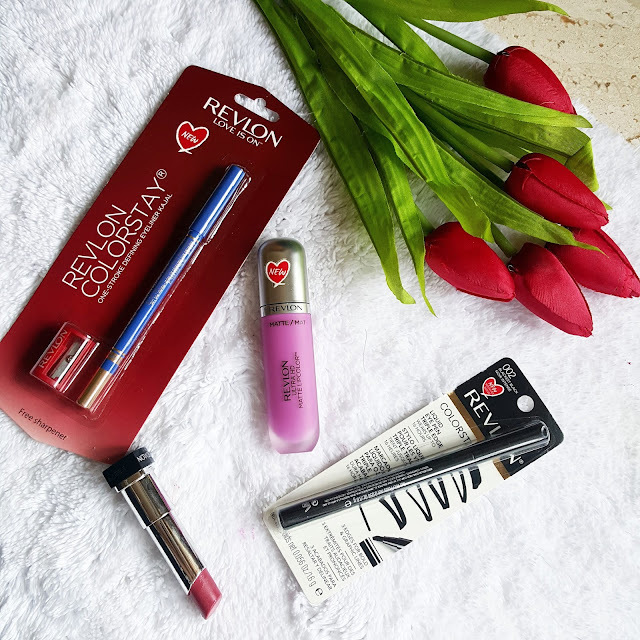 So today I am going to review some of the new launch products from Revlon. 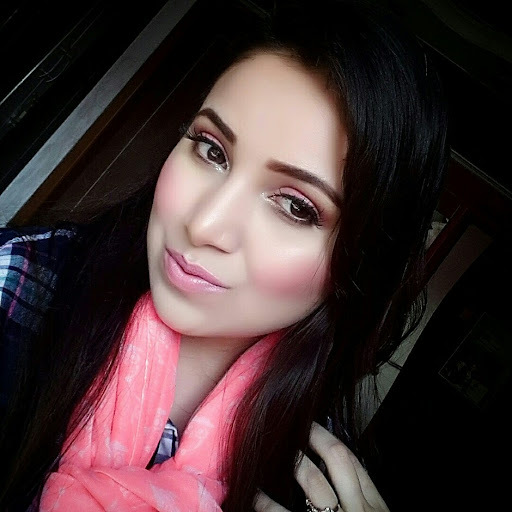 Its really exciting when you see lot of new makeup products being launched by your favorite drugstore brands. There are 3 new products I will be talking about REVLON ULTRA HD MATTE LIPCOLOR IN HD CRUSH, COLOR STAY ONE STROKE DEFINING KAJAL and TRIPLE EDGE EYELINER PEN. Revlon ultra Hd matte lipstick had been my most used lipstick and they have come with some additional new shades to this range I picked up HD CRUSH as it was something into purple tones not exactly purple like a lilac. I generally don’t use much purple lipsticks as it makes me look darker. But this one I had to try on. 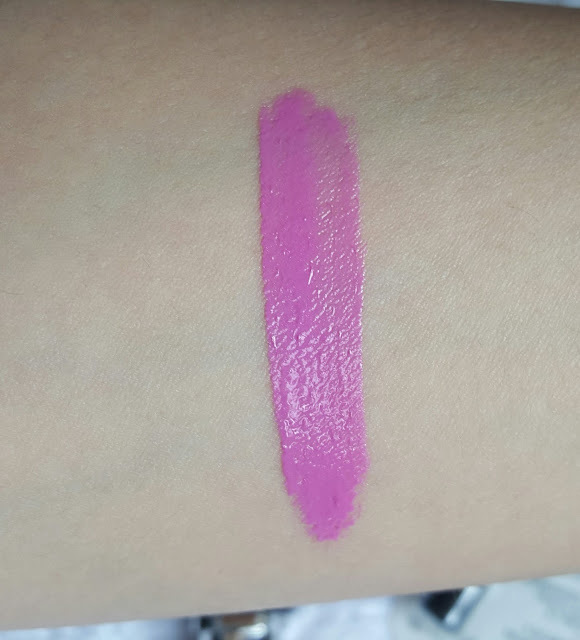 It’s a very cool tone matte pink lilac it’s a color which can go on many limited skin tones. But definitely worth trying out. Especially when you are bored of the usual brown,burgundy wines and plums for this autumn you can try picking up Hd crush. They have same texture and formula of previously launched HD MATTE LIP COLOR. 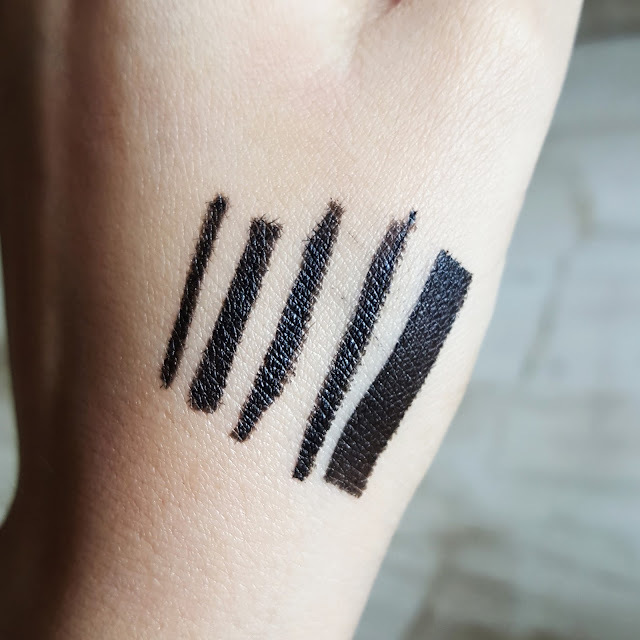 Now lets move on to the eyeliners so they have two felt tip black eyeliners I choose the one having 3 tip application. So this triple edge eyeliner pen claims to last for 16 hrs. 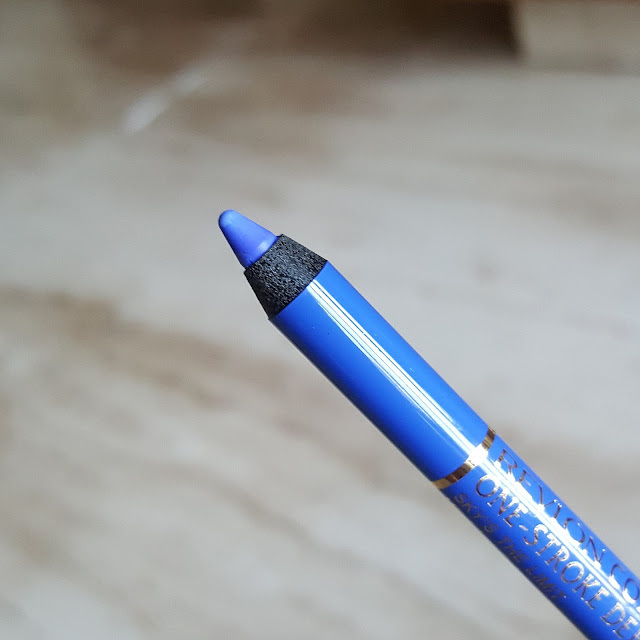 This pen can be used for graphic eyeliners. 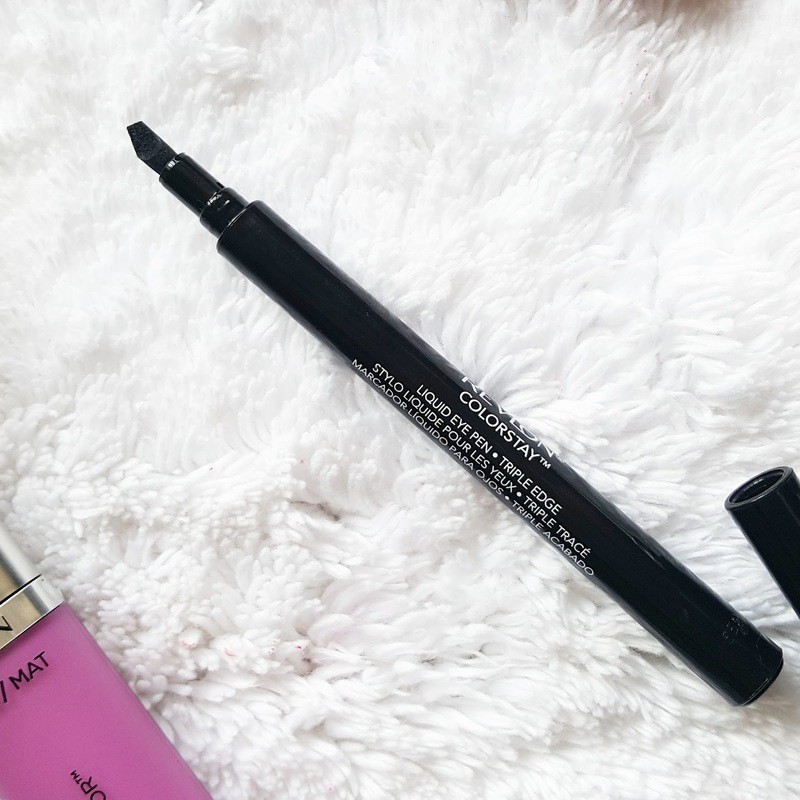 You can create bold thick eyeliner, medium or thin. 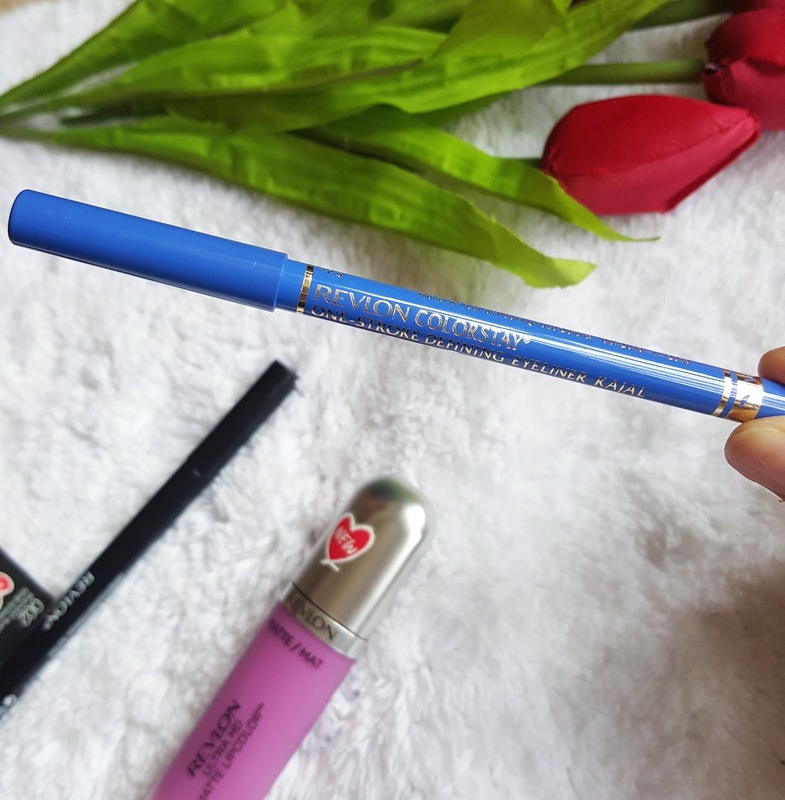 They also have one in ball point tip which helps in creating a dot liner for more sharper and even application. With the triple edge it was difficult to understand as in which edge is used to create what. It comes with a practice. Its great for wing liners. This are non water proof but are very long lasting. Also they go matte after application. I didn’t like its pigmentation one stroke was not enough to get that intense black bold look. So I had to go over again to get more black intense color. 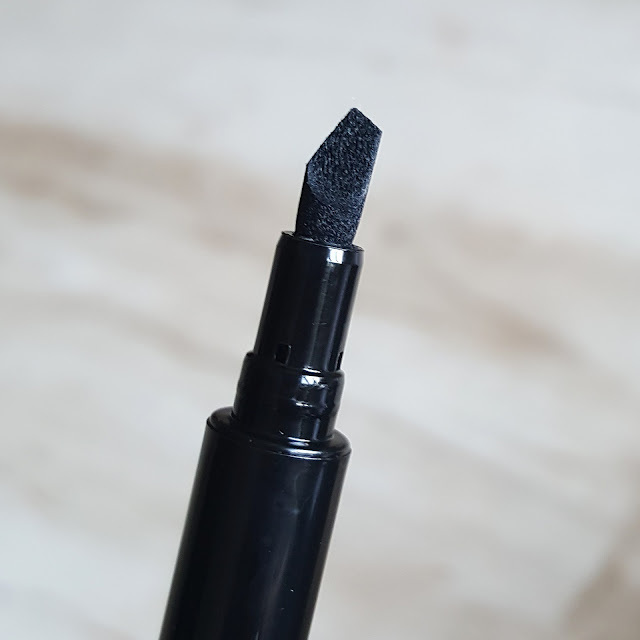 This liner doesn't smudge also it doesn't flake. Overall its something different for creating 3 types of liners with just one pen. I expected it to be more like a gel liner. 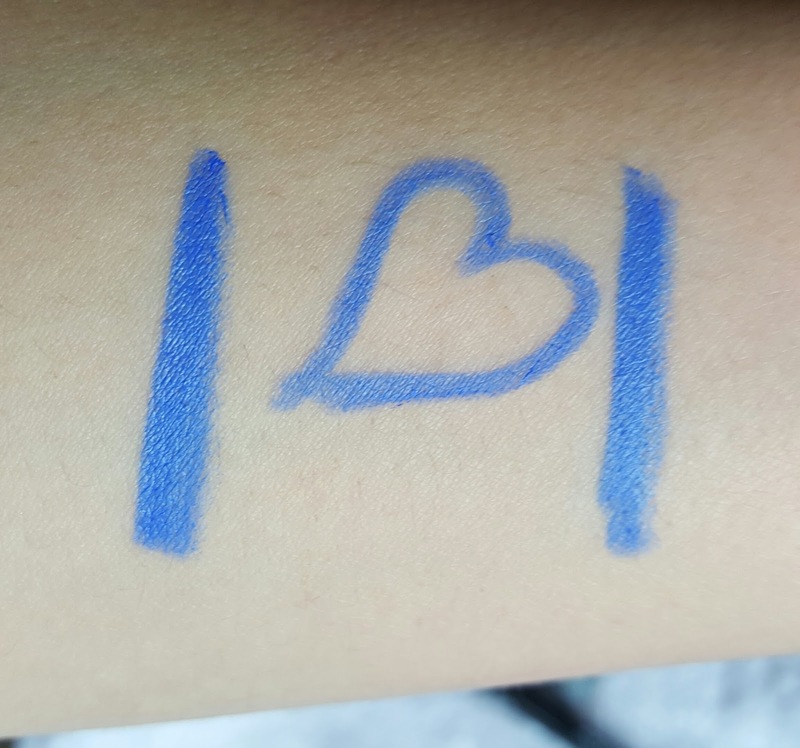 But I badly needed a good eyeliner pen with a great felt tip. 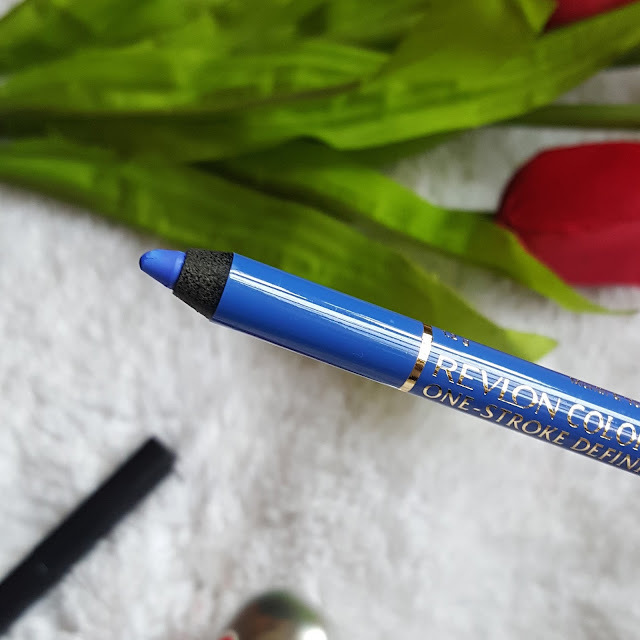 This eyeliner comes in a 5 different shades the one I am going to talk about is SKY IS A LIMIT. I am very fond of blue liners especially every shade of blue makes me want them. So this is again a cool tone blue. It’s a soft and creamy in texture. 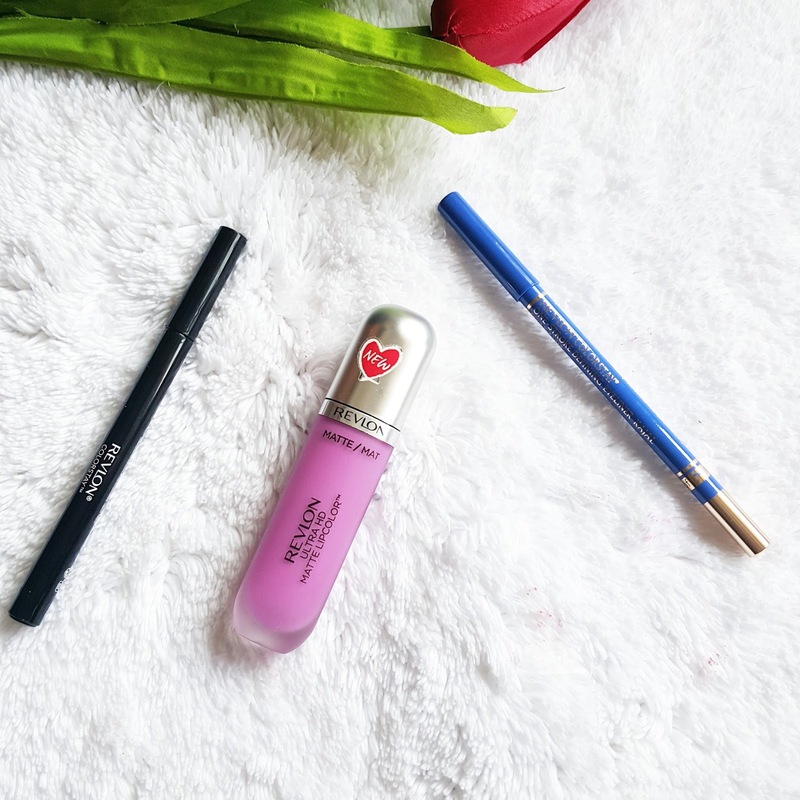 You can use them on your waterline too. Once it sets it doesn’t smudge or flake. Stays on for 8-9hrs which is pretty long lasting. It’s a waterproof pencil. Its good for sensitive eyes and doesn’t make your eyes water. I love the pigmentation it not only glides effortlessly but also the color is bright and beautiful. It gives complete opacity in just one stroke. Still I like giving two strokes of application. You can also sharpen them without any breakage . It’s a complete matte finish pencil. 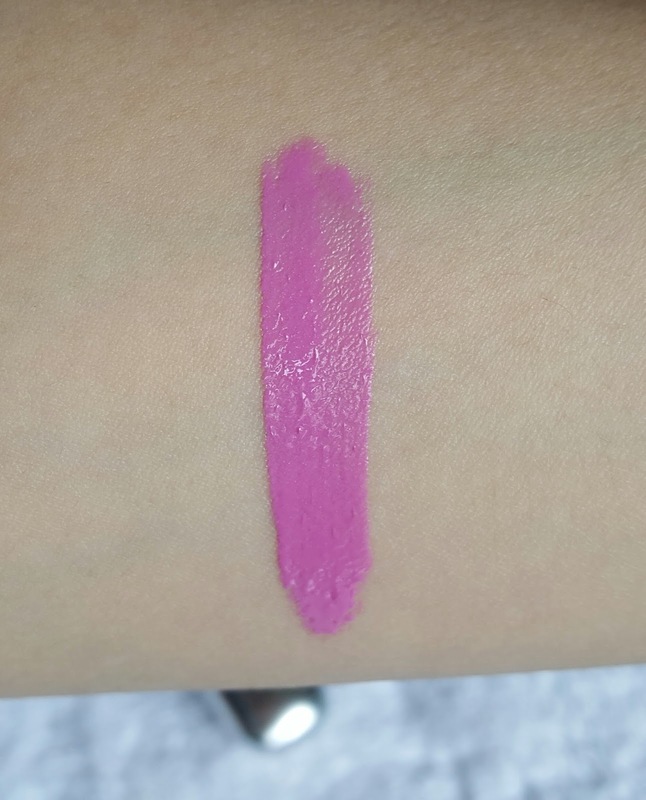 This shade is completely new and you wont find them easily in any other brands. Completely recommended I am looking forward to buy some more shades. Also the provide a free sharpener with the pencil.